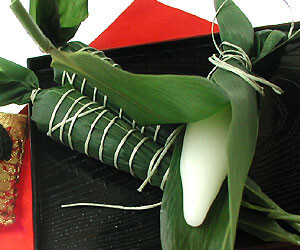 Tango (May 5 of lunar calendar) no Sekku is one of the traditional and seasonal events in Japan. 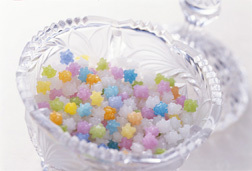 People pray for the healthy growth of the children and celebrate on May 5th, is called “子供の日 (the Children’s Festival)”. It was originally a boy’s festival, but was changed to include both genders. 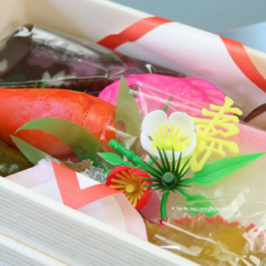 They display a Koinobori (carp streamer ) and a Kabuto (Nippon style helmet). 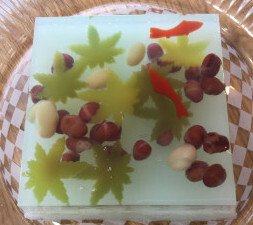 There are also customs to eat special wagashi (chimaki or kashiwamochi) on the day. 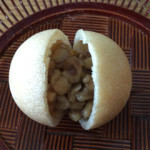 Kashiwamochi is a rice cake which contains sweet bean jam inside, and is wrapped in an oak leaf. Oak trees don’t shed old leaves until new leaves grow, they are seen as a symbol of the longevity and prosperity of family. 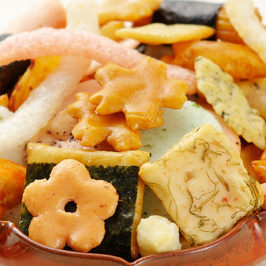 There are 2 kinds of rice cakes: plain of white color and mugwort of green color. It is a type of Japanese dishes or sweets consisting of a rice dumpling wrapped in bamboo grass.Since the medicinal herb’s fragrance has been expected to produce the effect of expelling evil spirits, it is wrapped in fresh blue bamboo leaf. 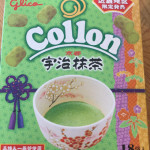 The plain taste of rice cake has slight flavor of bamboo grass. 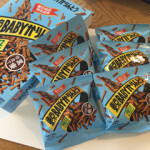 The sweet is filling. 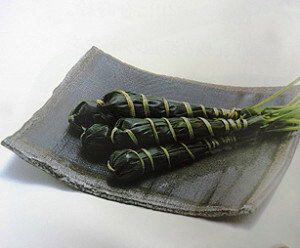 People of Kanto district often eat kachiwamochi, the other people of Kansai district eat chimaki. 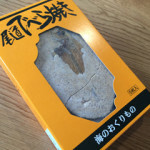 A carp is a very strong fish and is to pray for the success in life of boys. 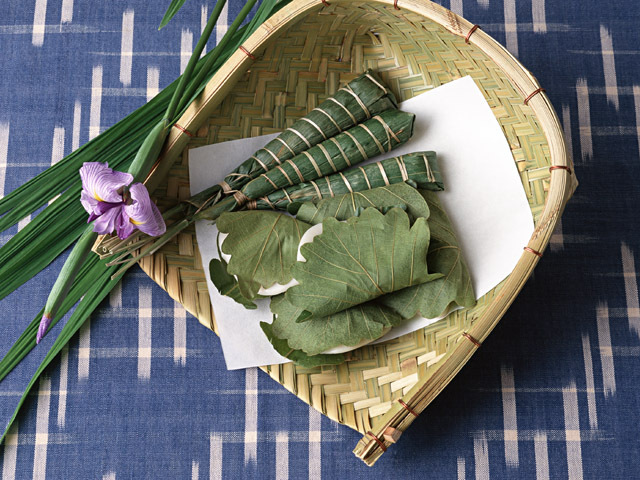 It is one of the festival decorations of the children’s festival and was created from town people in the Edo Period of Japan. 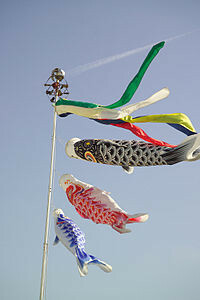 The custom of displaying koinobori was originated from the Chinese tradition: a carp became the dragon and climbed the sky after it climbed a rapid stream waterfall. 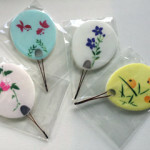 Here is a Chimaki item, produced by Taneya. 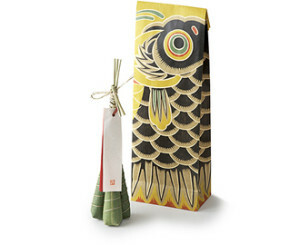 The wrapping paper has Koinobori as its! 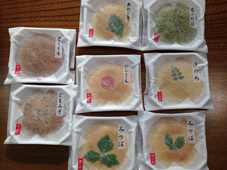 After having eaten these wagashi, I can use it with a display.